So, tomorrow I'm going to the hospital to have my fourth baby. I decided about 2 weeks ago that I had to have a gift from the baby and me for the other three children to give them at the hospital. 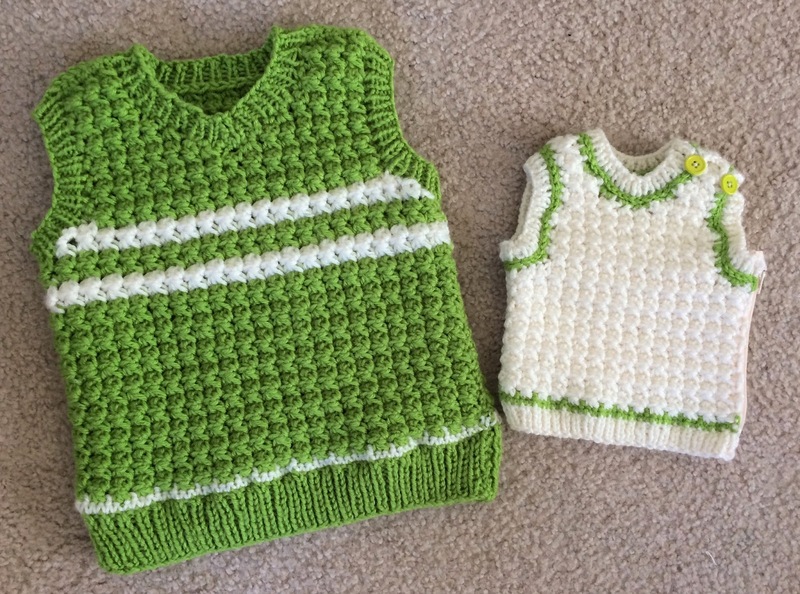 I decided that coordinating sweaters and vests would be adorable! I found a couple patterns (I didn't want to improvise the whole thing) that would work and went from there. 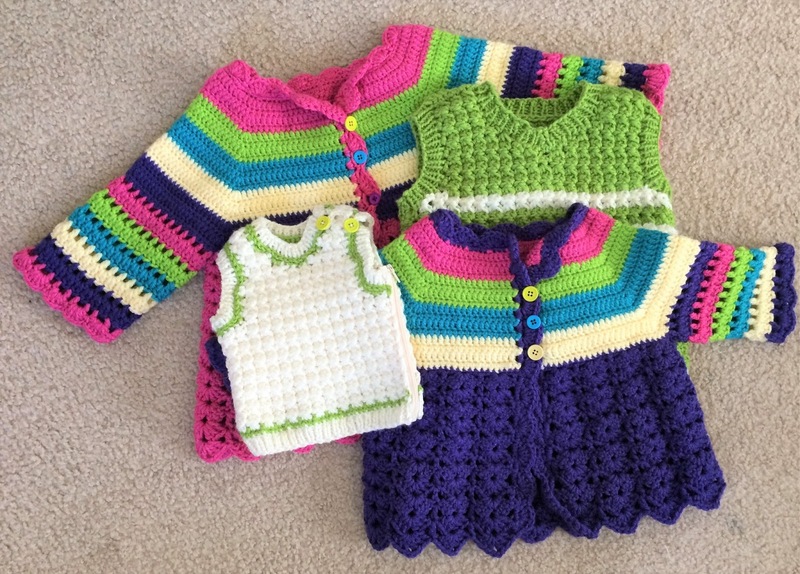 I did have to improvise quite a bit as it was, because these patterns call for different weight yarn than what I used. I can eventually type up what modifications I did, but for now I really wanted to post the adorable set that I made. I'm excited to give them to my children when they visit me at the hospital tomorrow! To make sure they fit well enough, I did do size-tests on the kids. But then I hid them away and they haven't asked me about them since, so that is good. The baby size is about 3 months, then the little girl sweater is about 2T, then the bigger boy vest is 5T and the bigger girl sweater is about size 7. 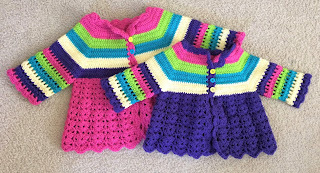 I used Hobby Lobby I Love This Yarn to make these, since that yarn is very stretchy. I'm so excited! 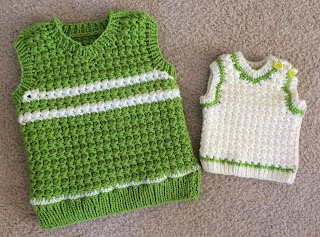 The boys' vests are inspired by Elfin Hat and Vest by Patons (free pattern).